Water management is becoming increasingly complex and consequently an urgent review is needed to ensure sustainable service delivery and contribution to economic growth in order to meet present and future needs. Increasingly taxed infrastructure continues to age as government regulations increase producer requirements for tighter control and reporting. 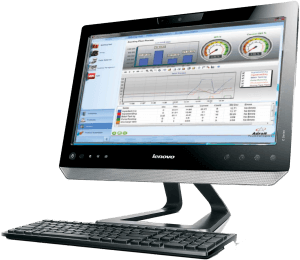 Integration of real-time and legacy equipment as well as plant data into operational dashboards, provides quality metrics and KPIs. Adroit Technologies and Mitsubishi Electric understand these challenges and have the necessary solutions to be able to address them consistently around the clock, year after year, with complete confidence. We offer a range of solutions that have the necessary flexibility and dependability to meet these demands with the support of many years of experience working with customers in the water resources industry. The Mitsubishi Electric PLC range with M2M support, and F700 VSD with built-in PLC and energy saving selection is ideal for the water industry. Adroit Technologies is the market leader of process control software in South Africa, and with approximately 80% market share you know you have partners you can trust. Variable Speed Drive (VSD) offers reliable and cost effective motor speed control with high level performance and features. This VSD is ideal for remote sites with its higher energy saving which, at times of power failures, can be crucial. 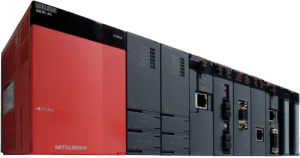 Programmable Logic Controller (PLC) is intended for smaller systems, but with no compromise on features and offers easy expansion with between 14-256 I/O. Programmable Logic Controller (PLC) is totally scalable, this PLC offers redundant process CPUs for critical operation and due to its modular design, uses less space than many other controllers. Adroit SCADA with easy and scalable licensing allows clients to operate an efficient system of any size. Adroit Technologies’ vast experience with its SCADA in the water industry has allowed for the development of unique features, specific equipment, wizards and templates that specifically caters to the water industry. Together with Mitsubishi Electric’s expertise, our combined experience in the water industry stretches well beyond 20 years. We have extensive relationships with major water utilities, both locally and internationally, and have been responsible for the automation of some the largest installations in the regions. 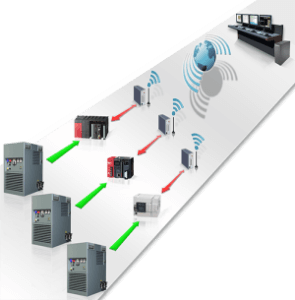 The Mitsubishi Electric M2M Solution remotely communicates with the PLC without needing an on-site technician.. 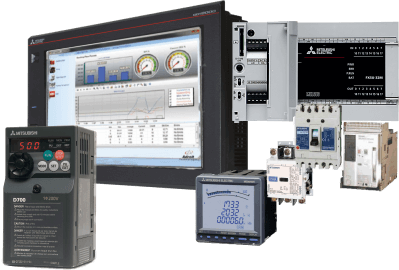 The software can be loaded on any FX3, L-Series or Q-Series PLC which gives the same functionality of a PLC with the added functionality of a remote RTU. Amatola Water, a state-owned, non-profit making business enterprise accountable to the Minister of Water and Environmental Affairs, was created jointly by national, provincial and local community stakeholders to serve as a multi- service, bulk water services provider. The exponential growth of East London based Amatola Water’s radio telemetry system from 16 outstations under the previous dispensation to 96 today, meant that this state owned entity required a monitoring system that could meet its growing needs. User friendliness was key – and the Amatola Water implemented an Adroit supervisory control and data (SCADA) system to fulfill its objectives. Remote areas are managed from three different locations spread throughout the Central and Southern Free State. From the central office, Bloem Water maintains and monitors the mentioned sites that supply water to the greater Bloemfontein area and other municipalities in the Southern Free State. These sites are situated at Rustfontein Dam,60km east of Bloemfontein, Welbedacht Dam, approximately 130km south of Bloemfontein and Bethulie in the southern Free state. The Adroit SCADA monitors reservoir and dam levels and performs pump control remotely. Items that are monitored includes, amongst others, valve conditions and winding temperatures. The Rustfontein treatment plant is semi automated. Both the central and Rustfontein offices can monitor water quality and operate the various processes on the plant using the SCADA. The department of Botswana water affairs is one of These departments also consists of two divisions namely minerals affairs and energy affairs. Within the water sector, MMEWR has the overall national responsibility for policy, planning, assessment, development, supply and protection of Botswana’s scarce water resources. Botswana Water Affairs have implemented local supervisory control and data acquisition (SCADA) system, Adroit Technologies, in one of the countries largest water and sanitation supply projects, Mogoditshane. The Mogoditshane Water and Sanitation Supply Project utilises the Adroit SCADA HMI as a stand alone system in the Departments water management process: monitoring reservoir levels, pump status, flow meters and line pressure to ensure water supply to the Gaborone area. Mogoditshane follows close on the heals of the countries largest water management project, North South Carrier, which boasts approximately 460km pipeline. The Adroit SCADA is installed at all nine of the City’s water treatment plants and two major pump stations. These installations range in capacity from 3 to 500 mega liters per day and supply water to the City of Cape Town and neighboring local authorities. The Adroit SCADA monitors reservoir and dam levels and performs pump control remotely. Items that are monitored includes, amongst others, valve conditions and winding temperatures. Johannesburg Water installed technologically advanced 32-bit, open automation Adroit SCADA systems to meet it’s standard throughput demands. As suppliers of clean water and sanitation services to Johannesburg’s expanding commercial and residential customer-base – on behalf of the City of Johannesburg – Johannesburg Water elected to install the Adroit SCADA at its six Waste Water Treatment Works and extensive reservoir network of 90 sites to optimise the city councils assets through cutting edge technology. 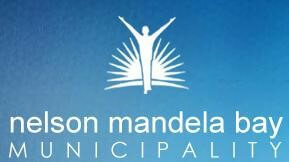 Nelson Mandela Bay Municipality is one of six Metropolitan (or Category A) municipalities in South Africa. It is located on the shores of Algoa Bay in the Eastern Cape province, and comprises the city of Port Elizabeth, the nearby towns of Uitenhage and Despatch, and the surrounding rural area. In an ongoing, ten year project with system’s integrator’s (SI’s) Spectrum communications, the Nelson Mandela- Metropolitan Municipality (NMMM) will rely to a greater extent on locally developed supervisory control and data acquisition (SCADA) – Adroit, for improved access, security and system redundancy to keep the delivery of water to the area on track. Situated on the South African coast, 40km North of Durban, Siza Water’s service area includes the coastal town of Ballito and the surrounding areas including Shakas Rock, Salt Rock, Sheffield Beach, Tinley Manor, Shakaskraal and Umhlali. The concession supplies water to a population of approximately 50,000 through either direct household connections or standpipes, about half of the population are served by household connections and all of these are connected to the wastewater system. The thirty year concession was signed in 1999 between Siza Water and the local Municipality now known as Ilembe District Municipality. Wastewater is treated at one of Siza Water’s two wastewater treatment plants with the Fraser’s plant taking up to 12 Mld and Shakaskraal treating 2 Mld; a third plant is currently in the planning stage. These plants are fed via a wastewater network of 110 kilometers which has 20 pump stations. Umgeni Water, a state-owned entity, is one of Africa’s most successful organizations involved in water management, and is the largest supplier of bulk potable water in the Province of KwaZulu-Natal, South Africa. The organization was established in 1974, and has grown over the years to become an entity of strategic importance in the Province of KwaZulu-Natal and indeed South Africa. Umgeni Water has six municipal customers, namely eThekwini Metropolitan Municipality, Ilembe District Municipality, Sisonke District Municipality, Umgungundlovu District Municipality, UGU District Municipality and Msunduzi Local Municipality. The organisation currently supplies 426 million cubic meters of potable water to its six municipal customers. Mhlathuze Water is one of the leading water utilities in South Africa today, providing a world-class service to its customers. The organisation’s commitment and focused direction in providing safe and dependable water services are indicative in its consistent success. Based in KwaZulu Natal, Mhlathuze Water’s area of supply covers some 37,000km².stretching from the Thukela River in the south and up the east coast to the Mozambique and Swaziland borders, around Vryheid and back to the uThukela River. Within this region, Mhlathuze Water has built and operates an inter-basin transfer, major water treatment plants, an offshore waste water disposal pipeline and it operates treatment and sewerage plants on an agency basis for local municipalities. Stand Alone Configuration – 1500 Scan Points and 9 Remote Client Connections.